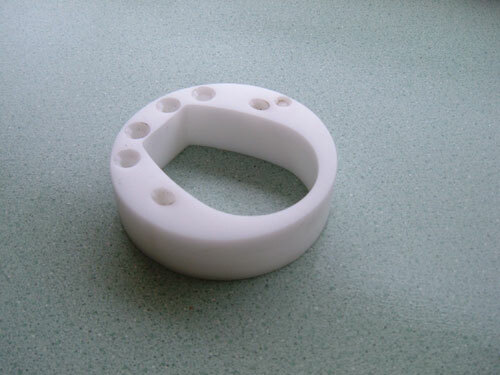 We manufacture mast heel and deck bearings in either black or white acetal plastic. 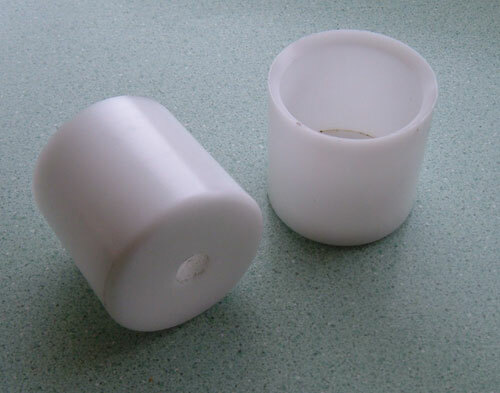 We can adjust the internal and external height to suit the worn heel of the Wilke Finn mast. Just measure down from the centreline of the boom pin hole to the bottom of the mast. This should be 820mm. 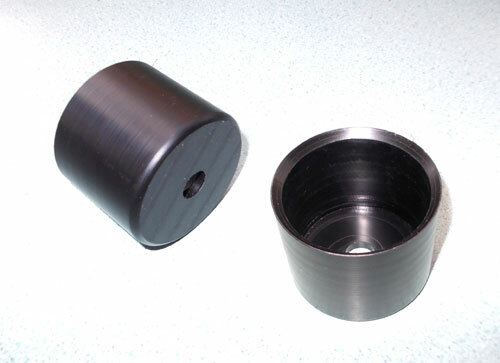 If it is less let us know and we will adjust the machining of your new Wilke Finn mast heel bearing, to suit. inside boss length - 100 mm. 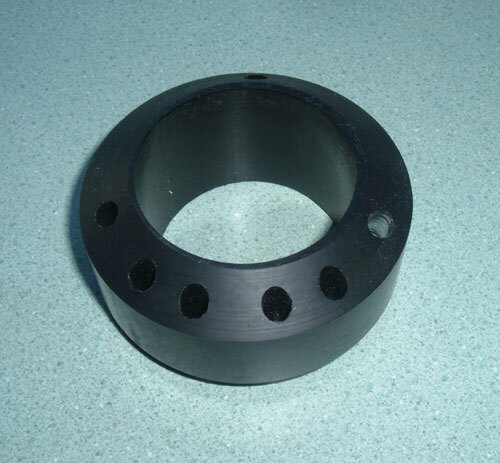 drain hole diameter - 20mm. Optional slot (on 130mm long inside boss) for mounting halyard exit block. 2x9mm angled holes for kicker rope. 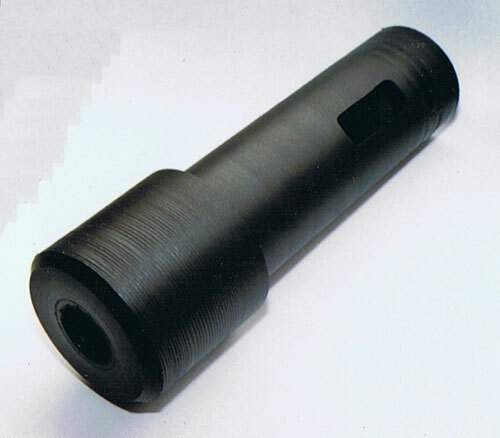 Finn Mast Bearings can be made to custom diameters and lengths or alternative material and configurations, price on application.